Very spacious 3 bedroom home in Windmill Village offered at a good price. If you like a BIG kitchen, this is one to see. Plenty of work and storage space, plus a center island. The dining area opens to the living room and has a very open floor plan. The master suite on one end includes a double-sink vanity, tub and extra storage cabinets, plus a large walk-in closet. Two additional bedrooms on the opposite end of the home, with a guest bath in between. The laundry room is good sized and includes a freezer and a walk-in pantry. Fantastic storage in this home! Extras include – drywall throughout most of the home, refrigerator, dishwasher, stove and washer & dryer are all 2015 or newer, storm shutters, security system and storage shed. AC was new in 2013, rain gutters added in 2011. All furnishings are included, 60 inch smart TV and DVD player, bedding and dishes. Windmill Village is a resident-owned park with saltwater marina and free boat slips. Sailboat water to the Gulf! Enjoy boating club, kayaking, bocce ball, BBQ at the Tiki Hut and relax in the heated pool. The upscale clubhouse includes a library, billiards room and grand hall for dinners, dances and activities. Price does not include the park share and bond buy-in of $18,285 (returned when you sell). The low monthly fee of $190 covers lawn mowing, management, water & sewer and recreation facilities. 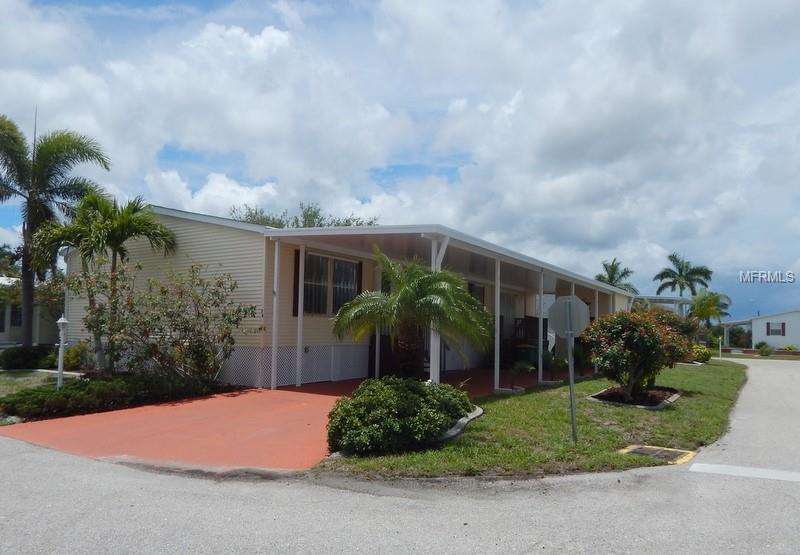 Sell the lawnmower, grab the fishing rods and come enjoy a relaxed Florida lifestyle!